During the course of his practice and tired of dealing with often caustic wound care products and antimicrobials/antifungals that just didn’t work as advertised, Dr. Eric Witherspoon began working with various mixtures of naturopathic ingredients, such as tea tree oil, comfrey, and goldenseal . These naturopathics had great merit, but he discovered that when he mixed them with specific amounts of safe pharmaceuticals, such as hydrocortisone, the results were spectacular. The synergy of action was much greater than the sum of the parts! 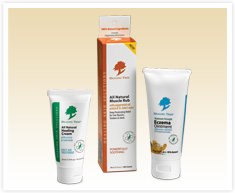 As the demand for these products by his clients increased, Healing Tree Products was born.